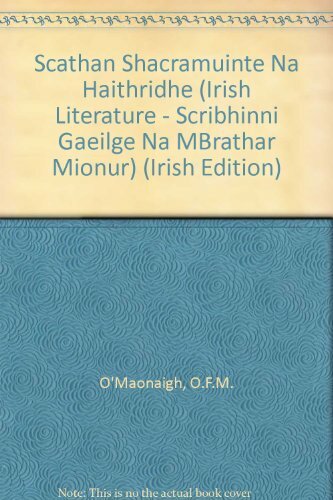 Scathan Shacramuinte na Haithridhe (Scribhinni Gaeilge na mBrathar Mionur S.) (Irish Edition) by Dublin Institute for Advanced Studies at Translate This Website. Hurry! Limited time offer. Offer valid only while supplies last.